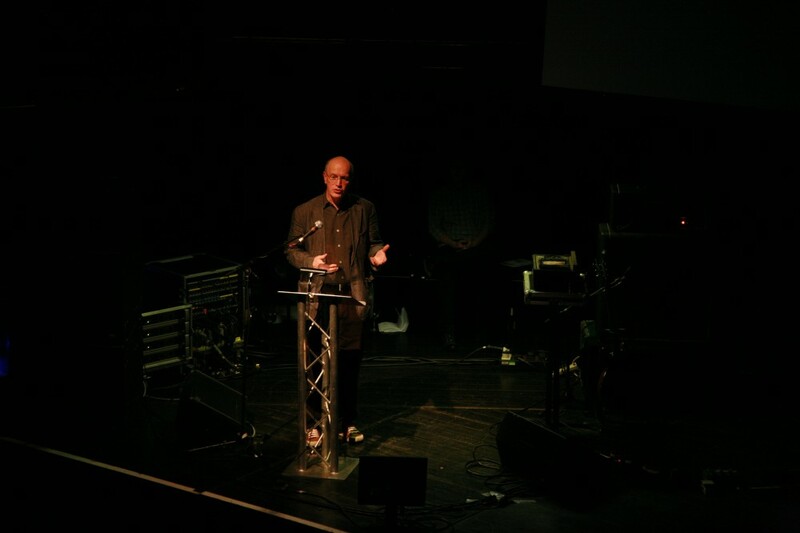 The Festival special closing night performance was written and performed by award winning writers Iain Sinclair (Lights out for the Territory, London Orbital) and Alan Moore (V for Vendetta, Watchmen). Award-winning authors and psychogeographers Iain Sinclair and Alan Moore undertake their own journeys across England through the darkness and light. This special North East journey draws on influences including ghosts on Lindisfarne, Morden Tower poets, the paintings of John Martin and Jimi Hendrix busking in Newcastle - invoking and re-animating these spirits and memories. It is underscored by a specially commissioned immersive soundscape performed by musicians: FM Einheit (from influential 1980s German band Einstürzende Neubauten), Stephen O’Malley (founder of leading drone doom bands Sunn O))), KTL, Gravetemple) and Susan Stenger (leading performer of music by John Cage and Christian Wolff and co-founder of Band of Susans, The Brood, Big Bottom). Projected moving image works by Iain Sinclair and artist Graham Dolphin are presented following their residency at the Northern Region Film and Television Archive. 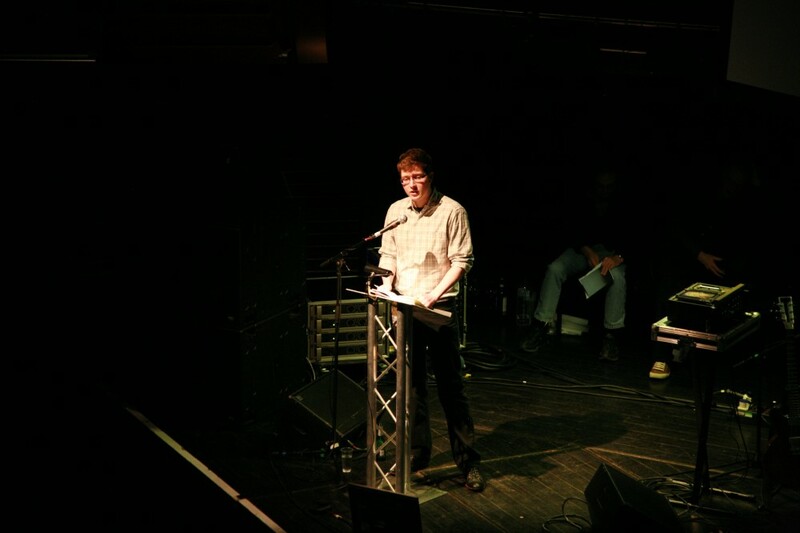 Additional special guest poets included Tom Chivers and Tom Pickard the Newcastle-born poet who co-founded Morden Tower, making a welcome return home. Following its presentation at AV Festival 10, English Journey Revisited was performed at the Barbican, London on Sat 22 October 2011. 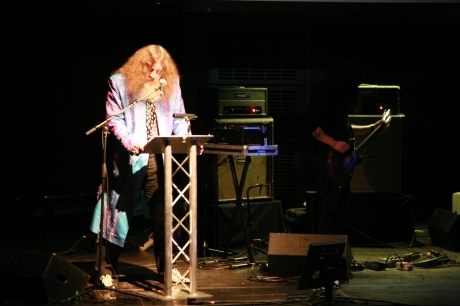 Alan Moore is an English writer primarily known for his work in graphic novels, a medium where he has produced a number of critically acclaimed and popular series, including Watchmen, V for Vendetta and From Hell. Frequently described as the best graphic novel writer in history, he has also been described as “one of the most important British writers of the last fifty years.” He is an occultist, wizard and anarchist, and has performed spoken words occult ‘workings’ with the group The Moon and Serpent Grand Egyptian Theatre of Marvels. 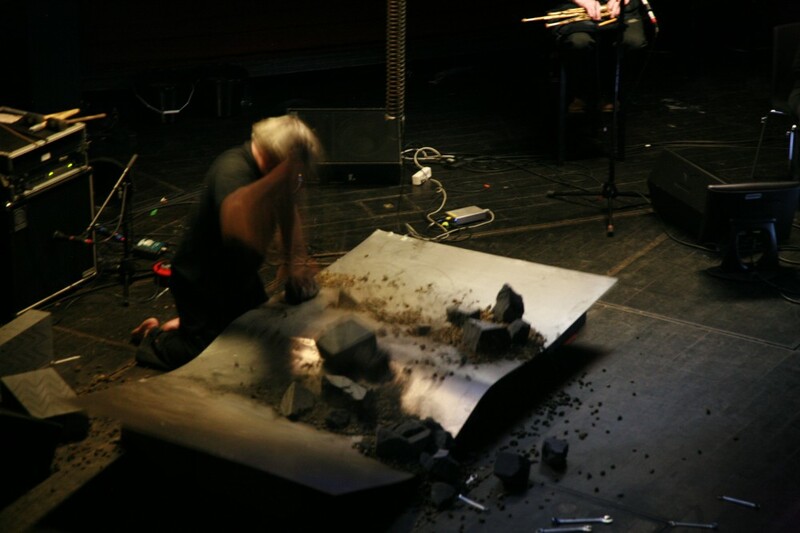 F.M.Einheit is an industrial and electronic musician from Germany. 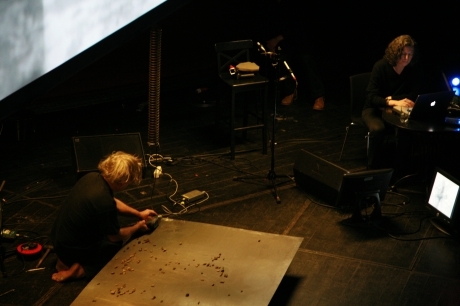 He is primarily known for his percussion work with the influential German industrial group Einstürzende Neubauten. He has collaborated and recorded several albums with other musicians such as Mona Mur, Andreas Ammer, Ulrike Haage as well as solo. Susan Stenger was born in Buffalo, New York. After intensive classical flute studies in Prague and New York, she joined Petr Kotik's Brooklyn-based SEM Ensemble. She soon began making her own work for flute and electronics, as well as touring with Rhys Chatham's all-electric-guitar band. In 1986 she joined Robert Poss in founding seminal guitar group Band of Susans. 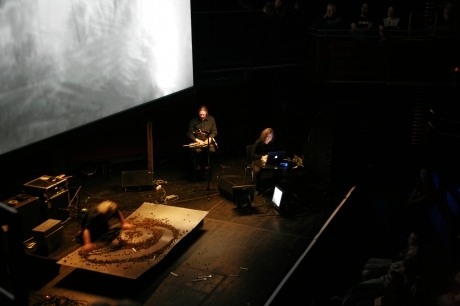 In 1996, Stenger formed performance group The Brood and all-bass-band Big Bottom (made up of visual artists and musicians), and began collaborating with acclaimed dancer/choreographer Michael Clark. 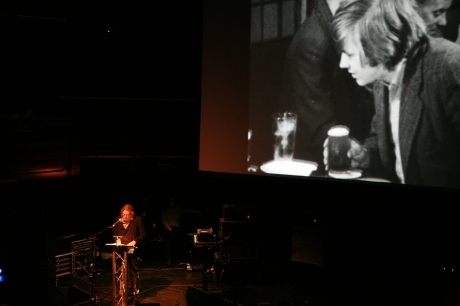 Stenger has toured as bassist with John Cale and Nick Cave and has composed projects with writer/filmmaker Iain Sinclair since 2007. 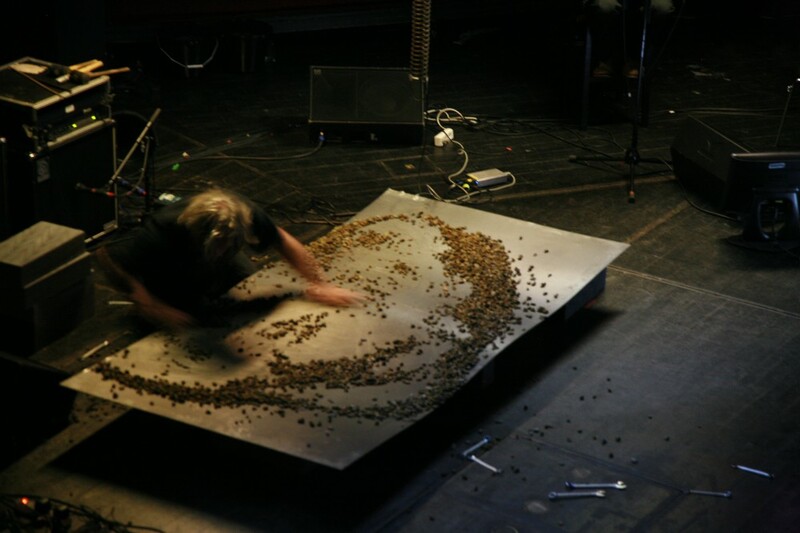 Stephen O'Malley is a musician, predominantly a guitarist, producer and composer from Seattle, currently living in Paris, who has conceptualized and participated in numerous drone doom and experimental music groups. 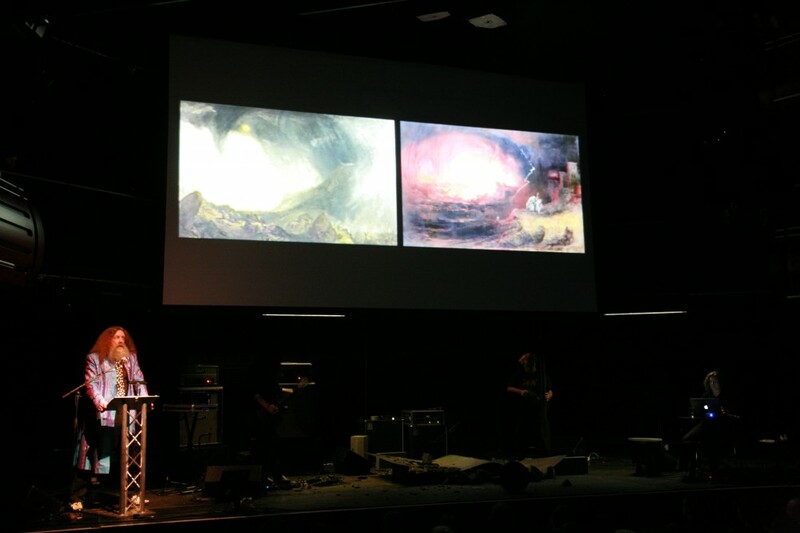 He is a founding member of Sunn O))), Burning Witch, KTL, and Khanate. 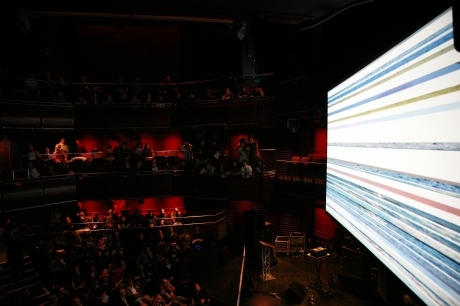 Co-commissioned by AV Festival 10 and Aldeburgh Music Faster Than Sound Residency Series. 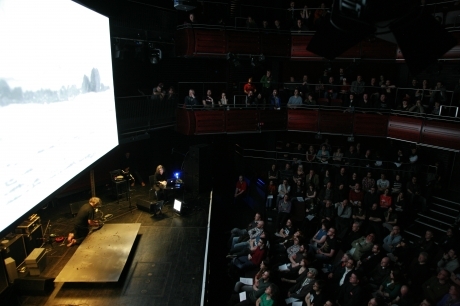 Produced by AV Festival 10 and The Sage Gateshead. UK Premiere.